The following books are by my friend and colleague Glyn Edwards, I recommend them to all my students as I believe they are essential reading & listening for al those interested in unfolding their mediumistic, psychic & spiritual awareness. The Potential of Mediumship presents an inspiring collection of teachings, along with numerous essential exercises for unfolding mediumistic and spiritual gifts. Glyn Edwards has worked as a medium for over 40 years and is internationally regarded as one of the finest mediums and teachers of Psychic and Spiritual Science in the UK. In this first ever anthology of his wisdom, he shares firsthand accounts about his own mediumistic experiences and imparts profound insights that will help you to move forward with your abilities. There are chapters here for everyone, for beginners and the more advanced, that reveal how the spirit world can communicate with and work through us and prove survival of life after death. In all, this is a rare and enriching treasure trove of mediumistic and spiritual knowledge with crucial practices for awakening to the spirit. "I have known and worked with Glyn Edwards for many years and through his continuing teachings and encouragement my belief in myself and my work has been renewed and constantly refreshed. I believe that what he has to share is of vital importance to all those wanting to unfold the abilities within them.’ –Mark Stone, teacher, medium and healer, Mind-Body-Spirit, Westbourne. 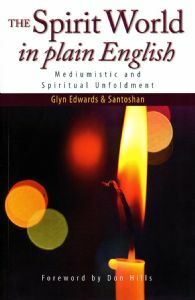 The Spirit World in Plain English is a revised and updated edition of the author's first book (Tune Into Your Spiritual Potential). 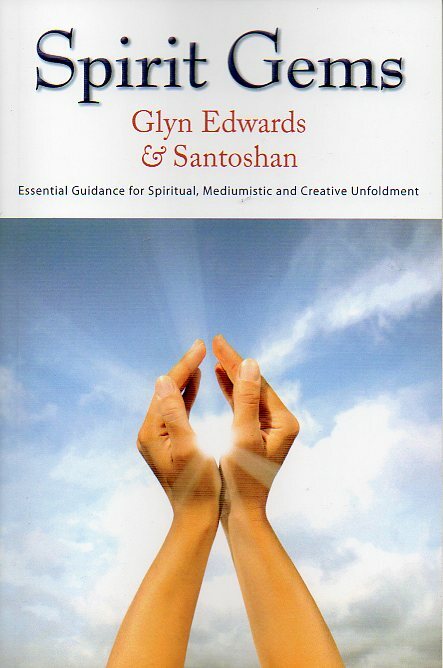 In this beneficial manual, internationally renowned medium Glyn Edwards shares practical exercises and teachings for discovering your inherent mediumistic and spiritual potential. Coauhtor Santoshan, who has a deep interest in creative, yogic and nature centred spirituality, brings an added dimension to the book. Together, they combined their knowledge in far-reaching ways and cover numerous essentials for understanding and inetracting with the ever-present world of the spirit. "This book is more than just another book on spiritual and psychic development; it's literally the bible on development." "The Spirit World in Plain English is crammed with suggested exercises and guidelines for practice. I heartily recommend this deeply spiritual book for its evident breadth and depth of vision and relevance to our troubled times." "Practical, enlightening, insightful and written thoughtfully. The authors demystify the mediumistic experience, while providing trusted practices for spiritual unfoldment." Eileen Davies, medium and spiritual teacher. peacefully. Glyn Edwards and Santoshan write beautifully whilst covering essentials such as living in the now, facing our fears, finding unity with all and harmonising the whole of ourselves. realms of unfoldment. Let their wisdom take you on a journey through various treasures of your individual being to ever-present life changing dimensions of the spirit. "This book digs deep into the mystery of life and finds a whole treasure trove of wisdom and understanding. Gems, pearls, rubies and sapphires are waiting for anyone taking the time to read this book." "Spirit Gems needs to be essential reading for spiritual teachers and students alike. It is brimming over with beneficial practices that will wondrously inspire, stimulate and enhance your inner powers and spiritual abilities."